If you are searching for spider facts, chances are, you are also interested in house pest control techniques that will keep the critters from invading in and/or around your home. Spiders are, perhaps, the most feared pests. While most individuals do not like spiders or have a specific fear of the critters, it has been scientifically established that they are highly beneficial creatures in that they are predators of a multitude of insects and various arthropods. Additionally, most spiders are incapable of harming people. Those spiders that do have the capability of injuring people, such as the black widow and the brown recluse, most often spend the majority of their time hidden underneath furniture, in dark corners, in quiet crevices, or in woodpiles. If you observe a spider out in the open during the daylight hours, chances are, it will not bite you. Despite knowing this fact about spiders, most people are not comfortable sharing their living space with the creatures. In this guide, you will learn more spider facts and the most successful house pest control techniques that will help you eliminate the spiders that exist in and/or around your home. Spiders are creatures that have a high resemblance to insects; however, according to spider facts, they are arachnids, not insects. These arachnids have a total of eight legs and their body is broken down into two distinct parts – the head area, which is called the “cephalothorax”, and the abdomen region. Spiders do not have wings, nor do they possess antennae. When observing spiders in the wild, they are most often seen in, on, or around plants; however, they prefer to consume insects, other types of arachnids, and a variety of arthropods. When reviewing spider facts, you will find that nearly every single spider in existence possesses a toxic form of venom that is utilized to cripple and kill their natural prey. The spiders that have venom that causes a potentially serious reaction among people are referred to as “poisonous”. 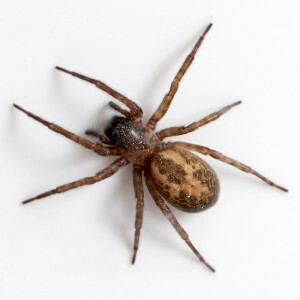 Examples of these poisonous spiders include the brown recluse spider, black widow spiders, hobo spiders, mouse spiders, black house spiders, wolf spiders, and huntsman spiders (especially when a female is guarding eggs or her young). While there are insects – such as mosquitoes – that will seek out humans and animals in order to bite them, the spider is not this type of critter. According to spider facts, these creatures typically do not bite a person unless they feel provoked to defend themselves for one reason or another. Most spiders have such small jaws that their fangs are not capable of penetrating a person’s skin. The severity of the bite of a spider will depend on various factors – such as the amount of venom that is transferred upon the bite, the overall health of the individual that experienced the bite, and their age. In most cases, the bite of a spider will not cause any type of reaction; however, there are instances in which the bite may cause irritation, itching, swelling, and varying amounts of pain. The symptoms associated with such bites most often only last a few minutes. In more severe cases, the bite symptoms may last for several hours. If a bite causes severe pain, inflammation, or other types of severe symptoms, a doctor, hospital, or a poison control center should be contacted immediately. First aid for a spider bite includes washing the area where the bite occurred, applying an antiseptic in order to reduce the possibility for infection to occur, and using ice to reduce the swelling that will likely occur. If you observe the spider that caused the bite, you should make an attempt to safely capture and preserve it for identification purposes by a doctor. First, it is important to remember that spiders like to hide. You should become familiar with the types of hiding spots that are preferred by spiders and remove those spots. This will help eliminate potentially dangerous spiders, such as the black widow and the brown recluse. If you observe webs in and/or around the home, you should clean them off. You may use brushes, brooms, and even vacuums in order to succeed in this endeavor. To eliminate the possibility that spiders will enter the home, you should ensure that all cracks within the foundation of the home, the walls, and other areas are completely sealed. Cracks and gaps around the doors and/or doors of the home should also be sealed. You should vacuum and/or sweep the window regions of the home, corners throughout your home, areas where items are stored, basements, attics, and other areas that are not used regularly. If you have an area inside of your home where you store items, you should make certain that all of the boxes are kept off of the floor and away from the walls. The boxes should be sealed with tape. All of these house pest control techniques will successfully reduce the usefulness of the boxes and the space as a harborage for the spiders that could potentially invade your home. Clutter should be cleaned immediately and not allowed to gather in and/or around the home. The area on the outside of your home, near the foundation, should be kept free of debris such as trash, litter from leaves, heavy amounts of vegetation, and other types of materials. If you require or desire outdoor lighting, you should install the lighting away from the doors and windows of the home. It is a known fact that lighting attracts insects. Insects, in turn, attract spiders. If you have to or want to install outdoor lighting, it is best to install it away from the home, but, close enough for your personal safety. If you elect to utilize a spider spray or other type of pesticide, you should ensure that you spray spiders directly in order to kill them; otherwise, they will not die. In most instances, a spider has the ability to walk over a treated surface within a couple of hours without being detrimentally affected. There are sticky traps that may be placed that will offer you the ability to remove spiders from your home in a non-insecticidal manner; however, if these traps are used, they must be placed in areas where children and pets are unable to tamper with the units. Now that you have been introduced to several relevant spider facts and have learned a few of the most productive house pest control techniques for your home, you are sure to discover that you see fewer spiders in and/or around your home. If you are not comfortable treating your home for spiders, or if you find that you have a severe infestation of the arachnids in and/or around your home, it is important to seek out the assistance of a professional pest control company. Not only will these companies educate you on spider facts and house pest control techniques that you may take, they have the pesticides at their disposal that carry the strength to quickly eliminate the spiders and keep the spiders away. For more information on how to rid your home from spiders – once and for all – and the most comprehensive information on spider facts and house pest control techniques, call All Pest Exterminating Inc. today at 765-965-2171.